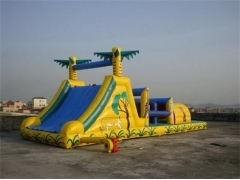 Inflatable Obstacle Course, Extreme rush obstacle courses, Inflatable obstacle challenges, Inflatable adventures are the best interactive games to provide competitive and sports related activities. It is a good choice for weekends or holidays. 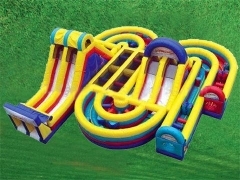 Dry and Wet Slide,Free Style Dry and Wet Slide,Bounce House Slide Obstacle Combo are the best interactive games to provide competitive and sports related activities. 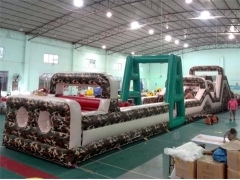 Extreme rush obstacle course is suitable for indoor or outdoor use. Military Obstacle Course, Adrenaline Rush Extreme, Extreme rush obstacle courses, Inflatable obstacle challenges, Inflatable adventures are the best interactive games to provide competitive and sports related activities. 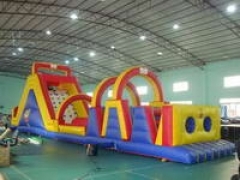 Extreme rush obstacle course is suitable for indoor or outdoor use. 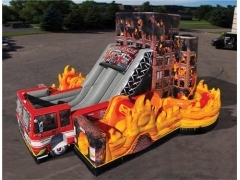 Adrenaline Rush Extreme, Extreme rush obstacle courses, Inflatable obstacle challenges, Inflatable adventures are the best interactive games to provide competitive and sports related activities. Extreme rush obstacle course is suitable for indoor or outdoor use. Extreme rush obstacle courses, Inflatable obstacle challenges, Inflatable adventures are the best interactive games to provide competitive and sports related activities. Extreme rush obstacle course is suitable for indoor or outdoor use. The Typical Jungle Obstacle Course Race are suitable for outdoor, family and playing center uses and that can be used indoor or outdoor. It is a good choice for weekends and holidays. OEM/ODM is welcome. The Typical Obstacle Course Race are suitable for outdoor, family and playing center uses and that can be used indoor or outdoor. It is a good choice for weekends and holidays.